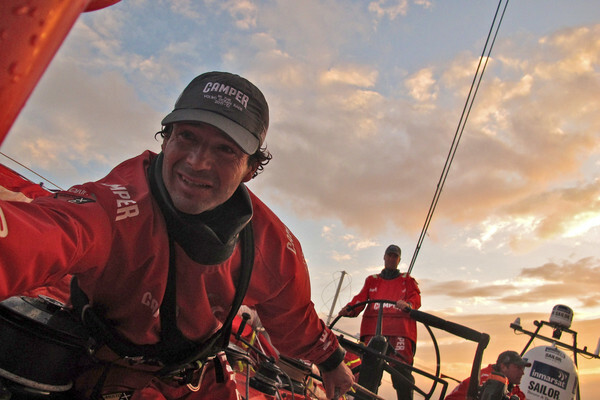 CAMPER and Abu Dhabi snatched the first and second spots on the Leg 6 leaderboard on Monday as they revelled in the close quarters action of the opening days of the race from Itajaí to Miami. 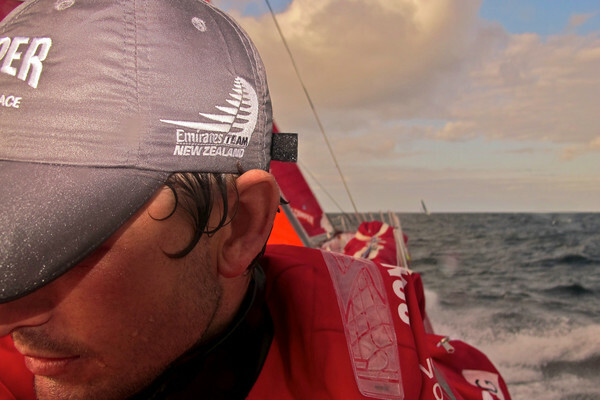 PUMA had clung to their lead for the first 18 hours of the 4,800-mile leg but by 1300 UTC on Monday CAMPER with Emirates Team New Zealand occupied the top spot due to their position to the north west of their rivals, with Abu Dhabi Ocean Racing just 0.4 miles behind in second. 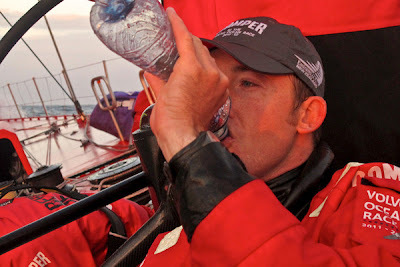 The leading pair appeared similarly matched in the favourable downwind conditions since the start of the leg on Sunday, but competition for the number one position remained fierce with the five boats split by just 10 miles. The intense racing was a welcome return for the crew of Abu Dhabi, whose yacht Azzam arrived in Itajaí on a container ship just three days before the leg start. “It has to be said that we are only out here thanks to the hard work of our shore team both logistically and with the all important repair work,” skipper Ian Walker said. “We desperately want to do well in this leg as a thank you to those guys and girls for all their effort and skill. 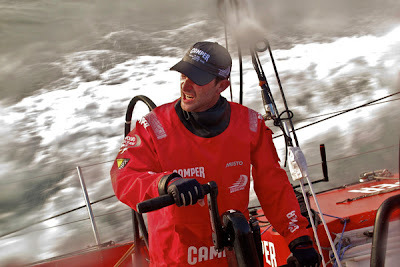 With morale high on PUMA after a win in Leg 5, skipper Ken Read said Leg 6 was all about scoring maximum points to shoot them up the overall leaderboard from their current fourth position, 32 points behind race leaders Team Telefónica. Around 15 miles south-east of CAMPER, Telefónica and Groupama were making their bid for the front spot in fast conditions that suit their Juan Kouyoumdjian-designed boats. Despite being knocked off the top spot in the leg rankings, Read said he was happy with his boat’s position against his rivals on either side. “I think we’d rather be a little bit up higher at the moment but all in all we’re very pleased,” he added. "Telefónica and Groupama are both very fast in this tight reaching stuff, so to be able to hold the height like they have is always pretty special. Despite the perfect conditions of the opening night with a south-easterly breeze pushing the boats along at speeds of up to 20 knots, winds are set to turn light over the next 24 hours. 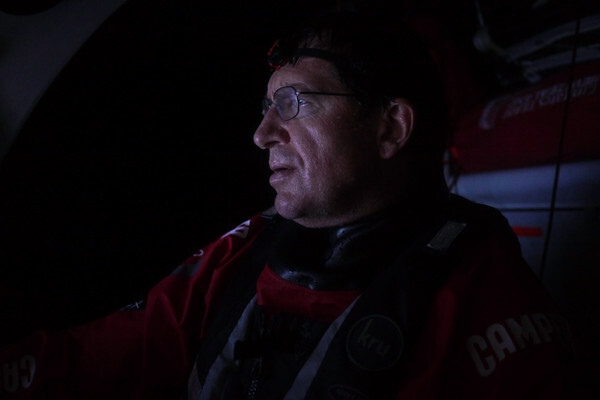 Volvo Ocean Race chief meteorologist Gonzalo Infante said the next few days could prove crucial as the teams race to be the first to the trade winds, currently around three days’ sailing away. “It is going to get very tricky for the teams as the wind slowly dies,” he said. “The door to the trade winds has been firmly shut by a cold front blocking the path. 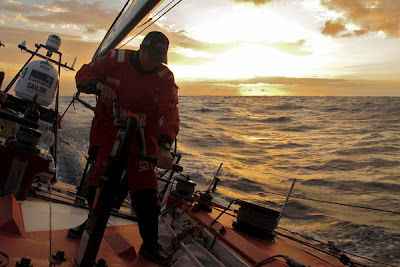 Leg 6 is expected to take around 14 days to complete.